There have been new reports of concern about rising risk of a parasitic illness in the United States. The illness is called Chagas disease, and it is transmitted by a certain type of insect. 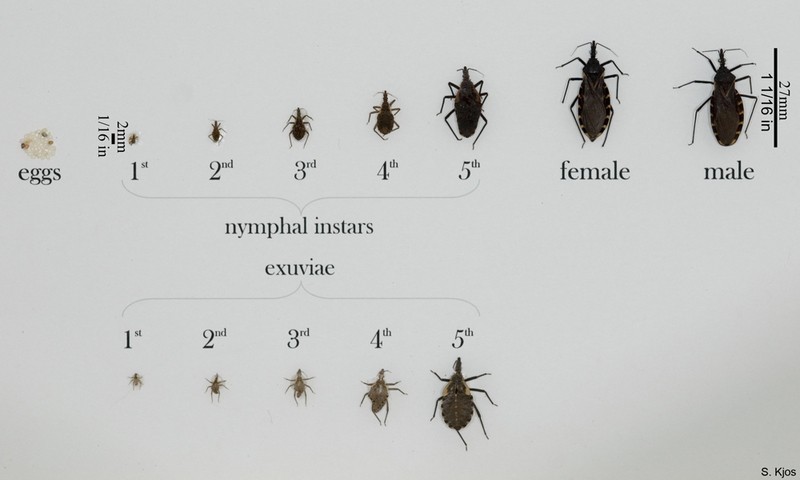 Chagas disease has typically been found in Mexico, Central America and South America, but the carrier insect has been moving into the southern United States. Chagas disease is caused by a parasite called Trypanosoma cruzi which is carried by a number of insects of the triatomine family. The map above shows the states in which triatomine bugs have been found. These insects are spreading into the US, but documented cases of Chagas disease transmitted INSIDE the United States are rare. There are estimated to be about 300,000 people with Chagas disease in the United States, and almost all of them were infected in Mexico or South or Central America. Chagas disease is rare. In almost 20 years I’ve only ever seen one patient with it. It starts with a bite from one of these insects that is infected with the T. cruzi organism. When the insect bites, it also passes feces, which contains the organism. 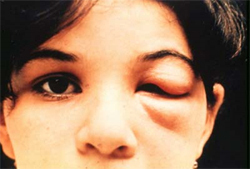 When the bitten person wakes up and scratches or rubs the bite, they often spread the infected feces into their eyes. This can cause swelling of the eyelids, called Romaña’s sign. Most of the time the body clears the infection without any trouble or illness at all. However, if the infection becomes chronic it can cause problems with the heart and with the digestive tract. It’s estimated that 20-30% of infected people will have medical problems related to the infection at some time in their life. The infection can also lie dormant and reactivate, like shingles or tuberculosis, if an infected person becomes immune suppressed. This is a potential concern in HIV-infected people or those who undergo chemotherapy for cancer or an autoimmune disease. Chagas disease is treated with medication. Because it is rare, typically an infectious disease specialist would be involved with treatment. So for those who are seeing alarming reports about this “kissing bug” invading the US, there’s no need to panic right now. 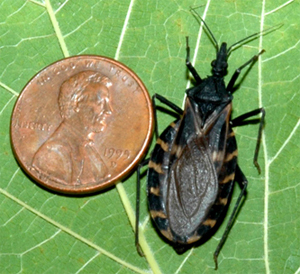 The vast majority of these rare cases of Chagas disease are not caused by triatomine bites here in the United States. If you’re not worried about malaria or Zika virus, you shouldn’t be worrying about Chagas disease at this point. PS – Most of the information in this post comes from the CDC website. You can visit and read more about Chagas disease here.